Good evening everyone! I apologize for my brief absence. We went on a fun family vacation last week and I never had a chance to upload my cards before leaving because I had hoped we would have some sort of internet service. Boy was I crazy for thinking that! We didn't even have phone service, let alone any kind of internet! Anyway, I am hope now and am really excited to share today's card with you! 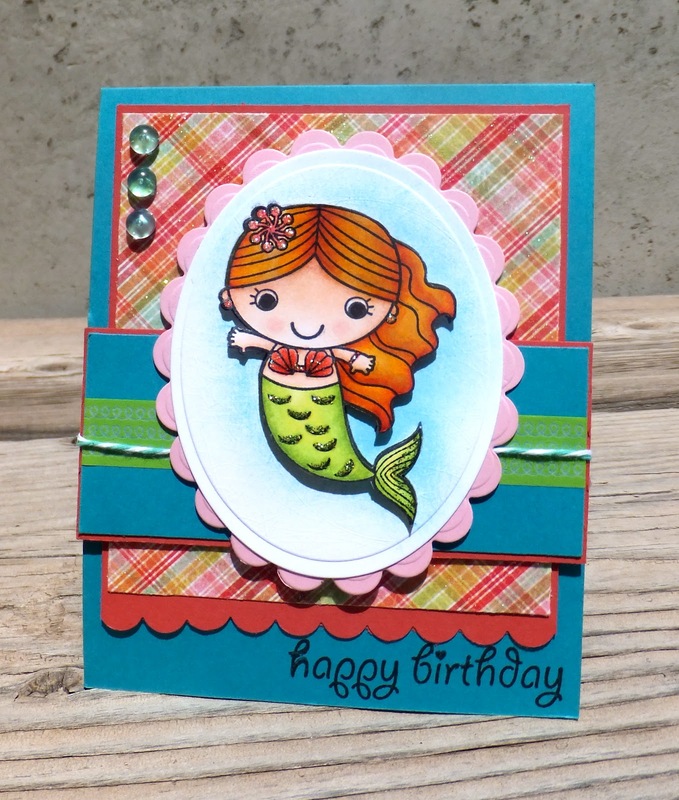 For my card I used the Happy Birthday Mermaid stamp set from Your Next Stamp. This set is SO stinkin' cute! Probably one of my favorites in my entire stash. 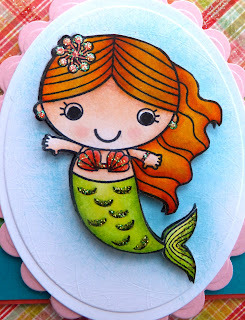 I colored her with my Copics and added some stickles to give her some fun sparkle. I then decided to share how I create my inked backgrounds with you so I created a short video tutorial on that. You can check that video out below if you are interested. The paper is called Dreamy from My Mind's Eye. 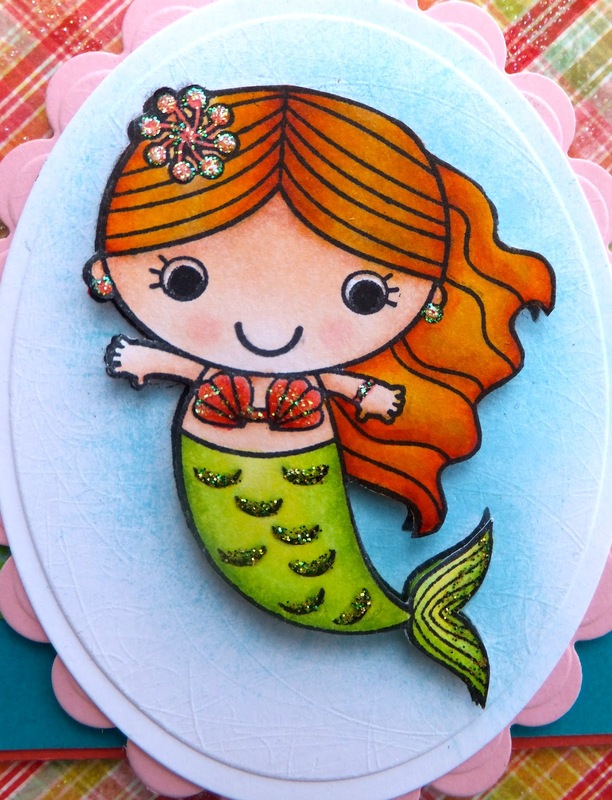 I just love the extra glitter that it has in it! Thanks for stopping by and I hope you enjoy your night!